Two guys who had been through my “FIRE in the Workplace” training created some new curriculum with a similar purpose. A mutual friend had been through their new study and expressed concern that some of it seemed similar to mine. They asked to meet to assure me that their curriculum may have been influenced by our materials, but it was not plagiarized. I had seen the materials and agreed. In our litigious society many might have considered slapping down competitive content with lawsuits or threats, but I realized where all intellectual property really comes from. Plagiarism is wrong and should be stopped, but content creators need to also remember that all wisdom comes from the Creator. 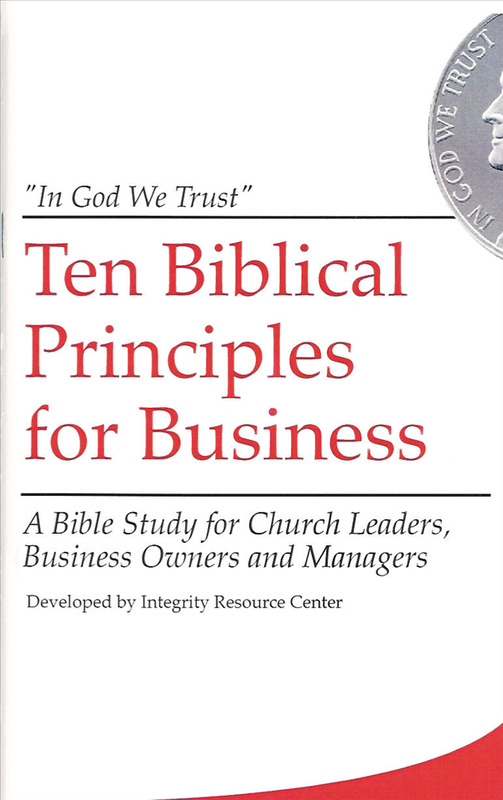 To better understand the importance of your work and how to carry it out in a way pleasing to God purchase your own copy of Ten Biblical Principles for Business, here.